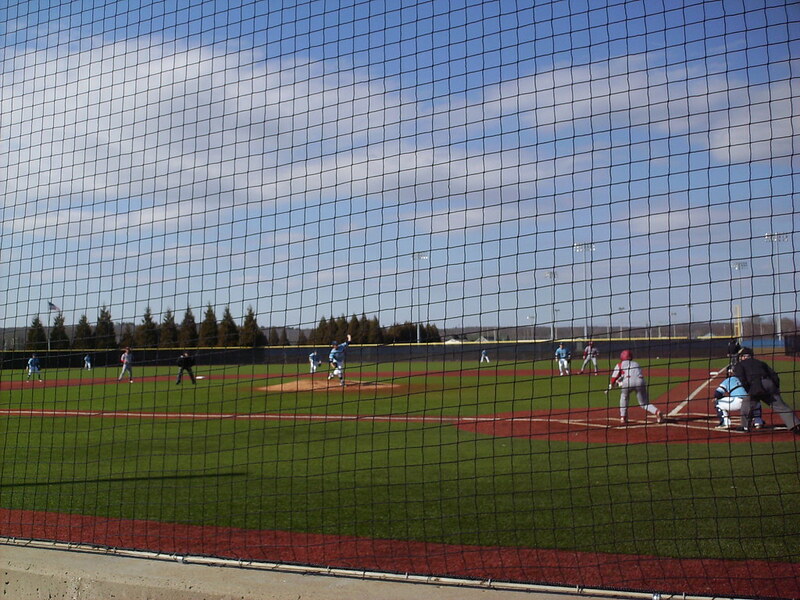 The view from behind home plate at Bill Beck Field. 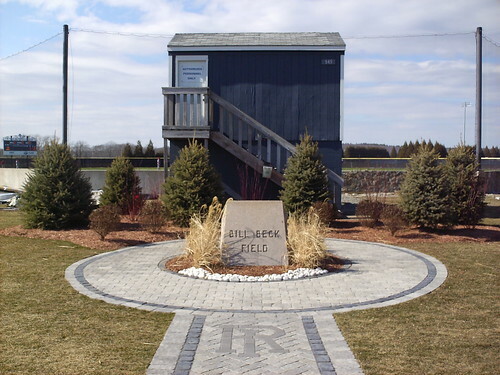 The area behind home plate at Bill Beck Field where the grandstand would normally be. 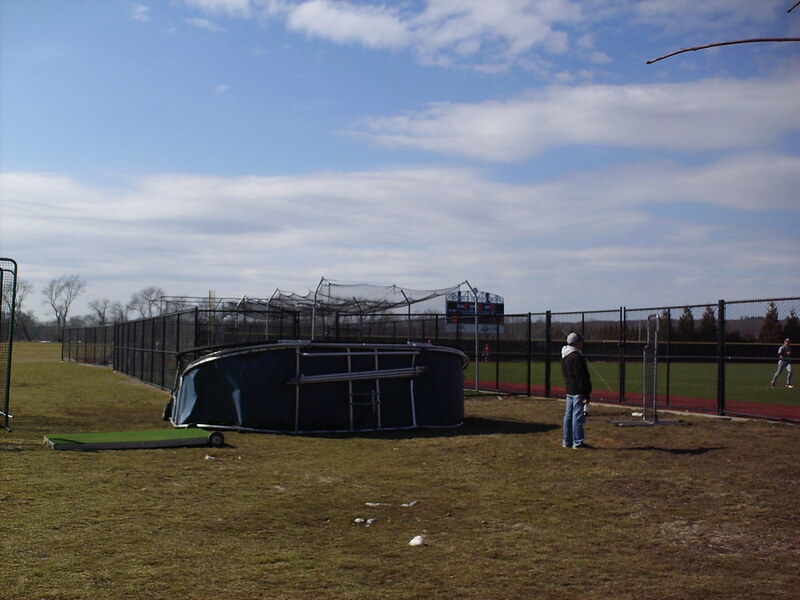 The field usually features aluminum bleachers behind the plate, but they were taken apart for backstop renovation during an early season game. 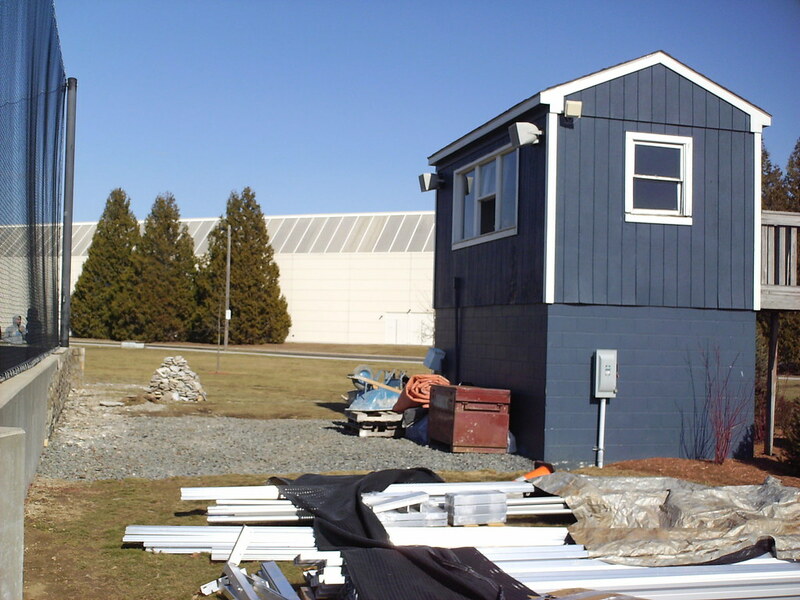 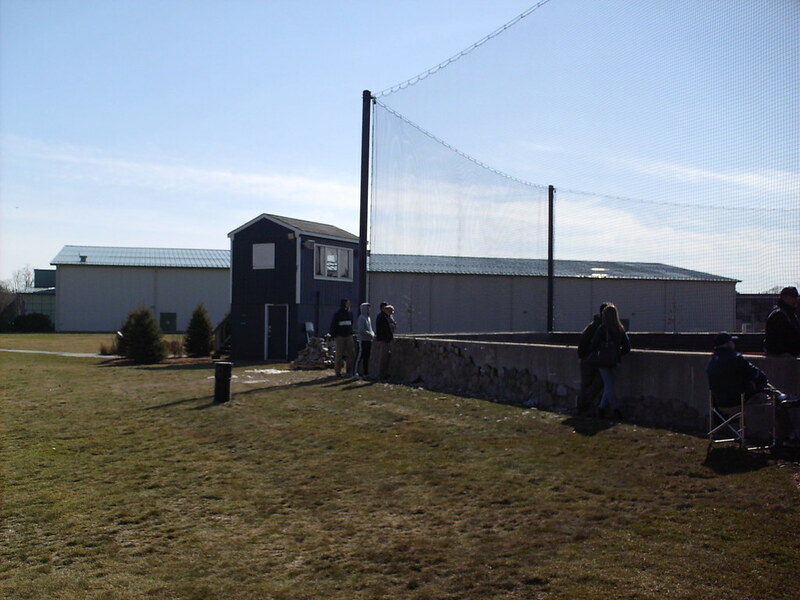 The pressbox behind home plate is a small elevated building that sits behind the main bleachers. 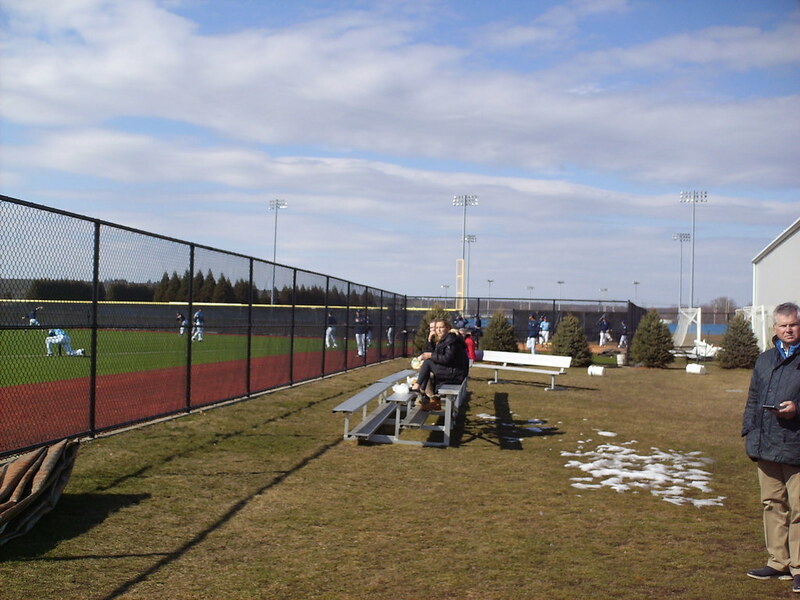 A small metal bleacher section sits down the third base line. 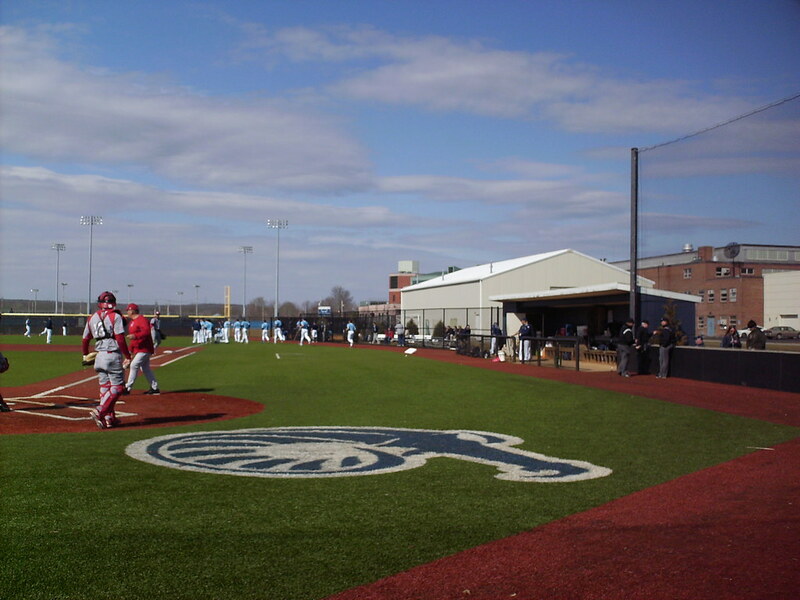 A few very small seating sections sit next to the Rams bullpen in the right field corner at Bill Beck Field. 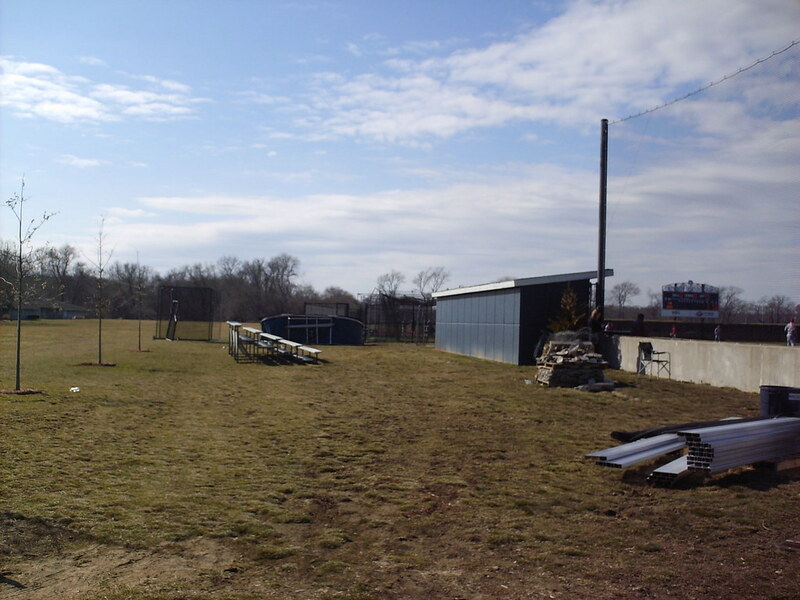 Batting cages and the visitor's bullpen in the left field corner of the park. 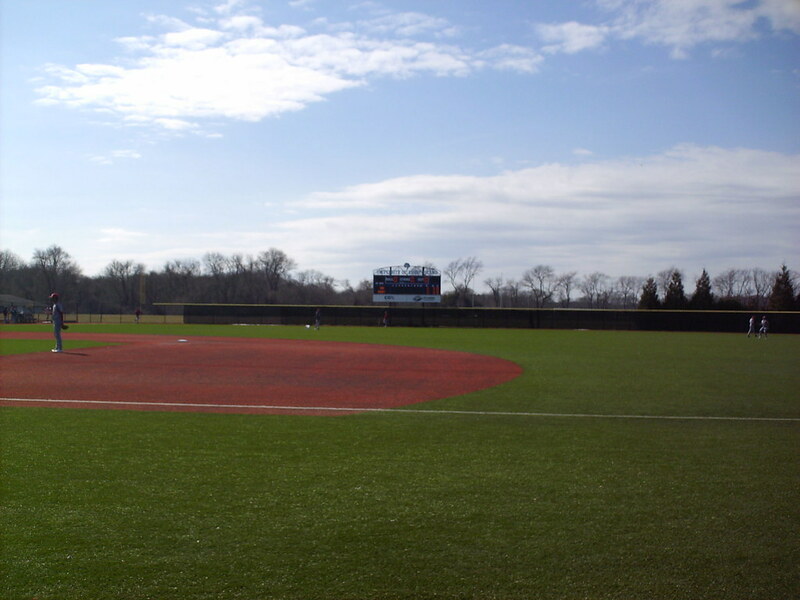 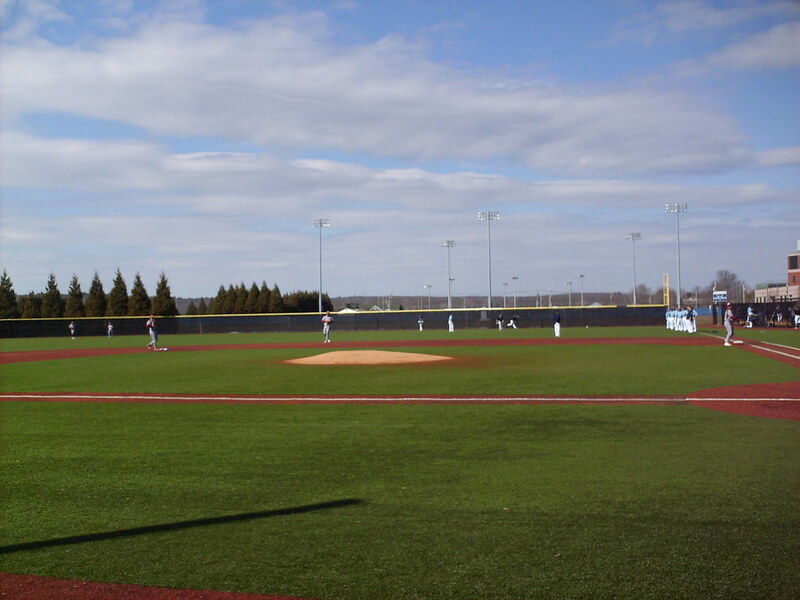 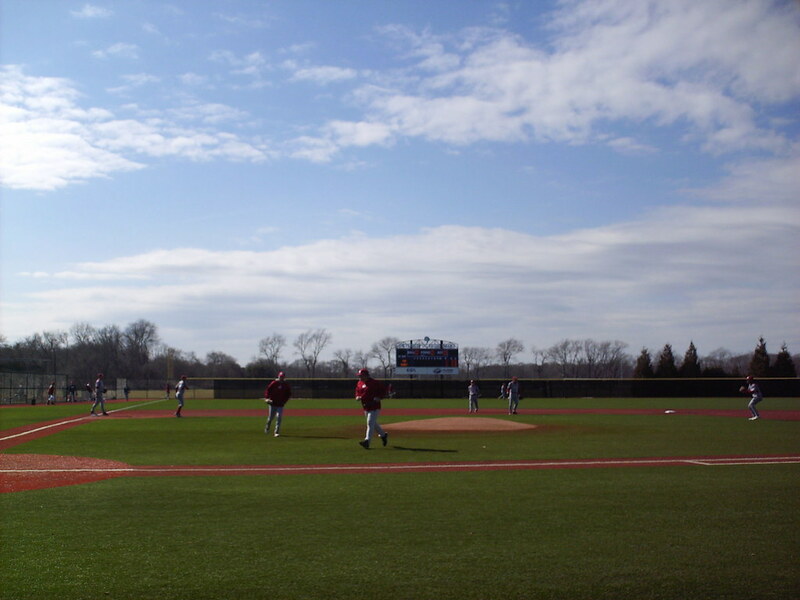 The field features above-ground dugouts and artificial turf, with a large amount of foul territory behind the plate and down the lines. 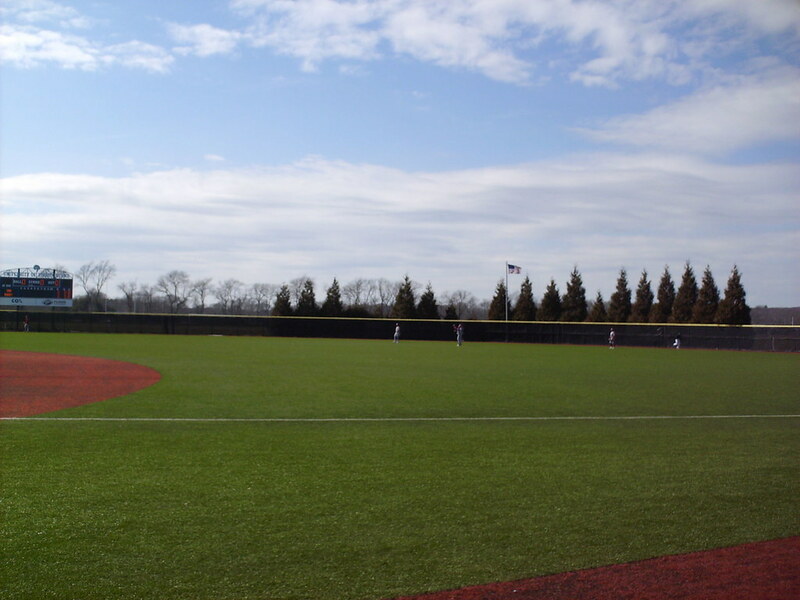 The chain-link outfield wall and natural evergreen batter's eye in center field. 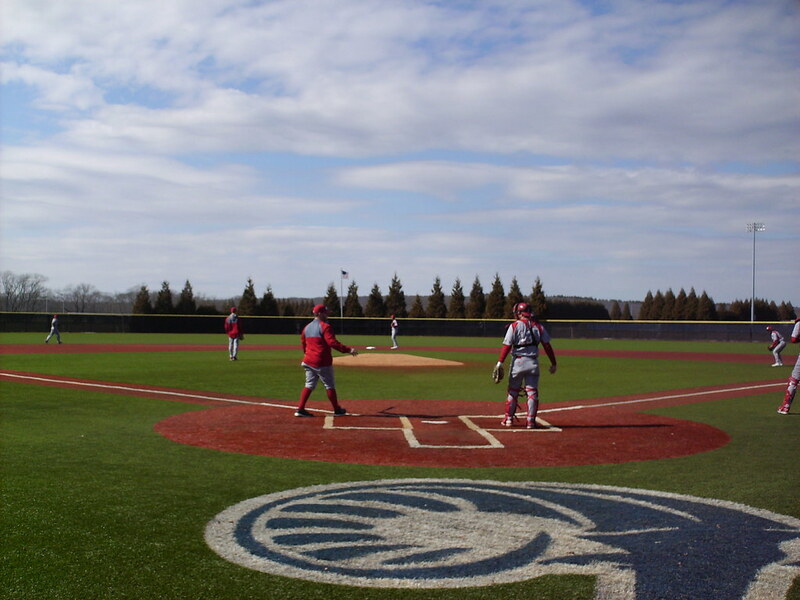 The University of Rhode Island Rams on the field during a game at Bill Beck Field.